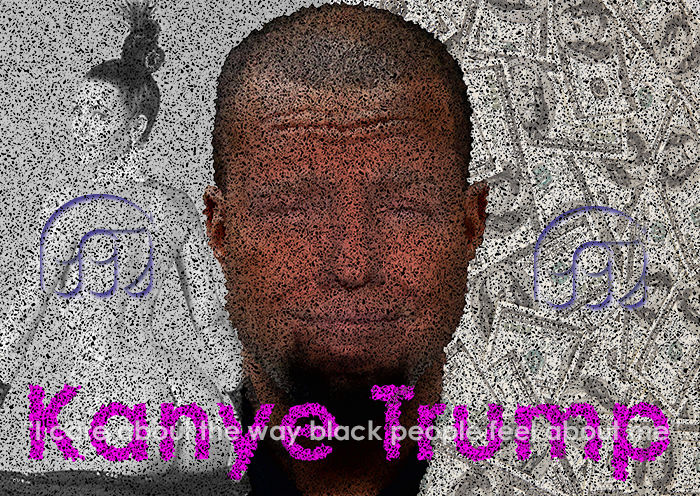 My initial inspiration for creating the first visual was Kanye West’s visit with Donald Trump in the oval office. 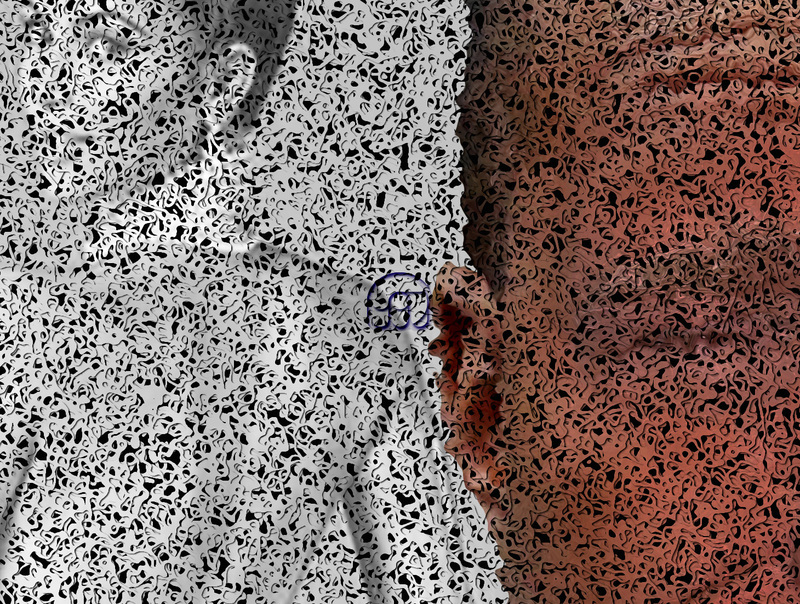 I simply wanted to experiment with merging the sensory attributes of both personalities. The inspiration for creating visual 02 & the accompanying soundscape came after watching a highlight video of this interaction. In the clip below, Bill Maher states that “Donald Trump is the white Kanye”. One could conclude that this would end the relationship & ultimately close this multisensory project. Some of the most obscure moments of the famous meeting (view the second YouTube clip in the introduction) motivated me to start working on some electronica that would be the soundtrack to a comic book story I created. Kanye West’s reference to feeling like superman, when he wears the MAGA hat, served as the initial inspiration for visual 04. I decided to mainly have old-school villains & dialogue, but this mutated over time. The underlying theme is the ongoing Russia collusion or corruption investigation & related U.S. politics. 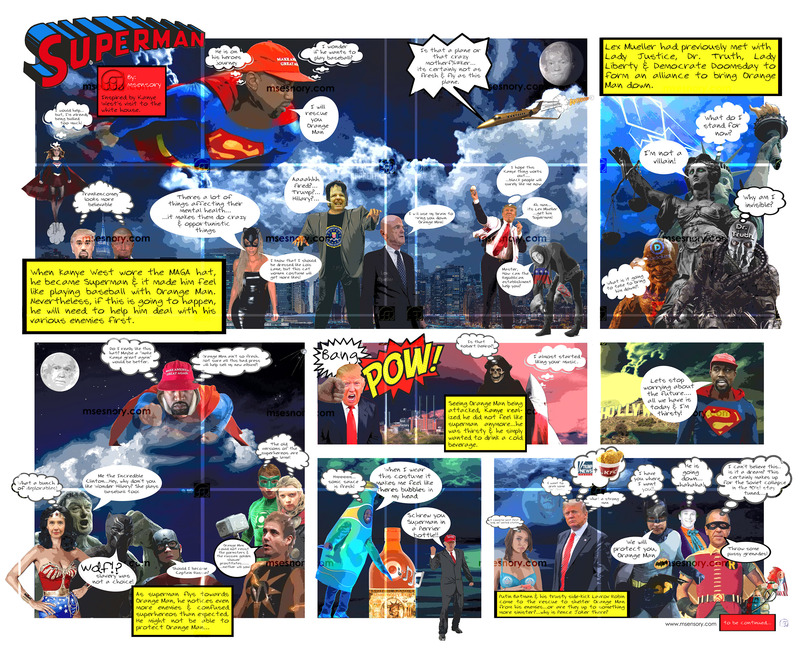 The sub-plot is the real reason for the relationship between Kanye West (Superman) & Donald Trump (Orange Man). One has to be relatively immersed in current events & US politics to fully appreciate the subtle references & layers. It is 11,000 x 9000 pixels & contains 107 layers. The edible scent created for this project (F25084) was based on some of the known favourite foods/beverages of these two personalities. The core of this profile is based on Kanye West’s favorite Hennessy & cola mix. It is called “KT” & can be used to scent various applications as well as being added to beverages & food. It contains an intricate & dominant melange of cola & cognac, persistent hints of orange peel & subtle fried yam notes. While looking for their favorite foods & beverages, I came across this compilation & thought it was interesting. 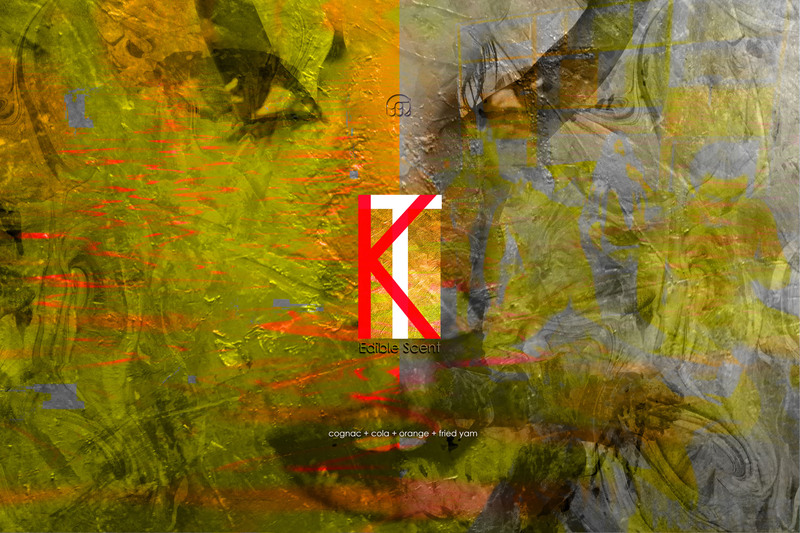 This techno track is the official soundscape for the Superman visual of this multisensory project. I have marked this project as “continuous” project, meaning that it will progressively evolve over time, proportionally to the main theme. 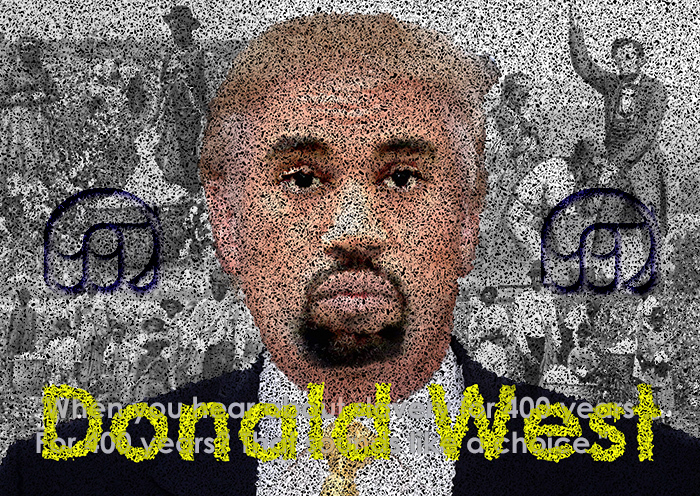 This current project’s initial inspiration was Kanye West’s latest meeting with Donald Trump in the oval office on October 12th, 2018. This peculiar relationship between these two personalities is the theme & their future interactions will serve as the fuel for the creation of other sensory outputs. I grew up across the street from, you know, the Villarias, which was a great Mexican family there. In fact, there was three houses right across the street from me. So, day and night, I listened to Mexican music, and I’m sure, you know, my guitar playing, singing, writing, whatever, has a lot of Mexican flavor there, but it comes natural.